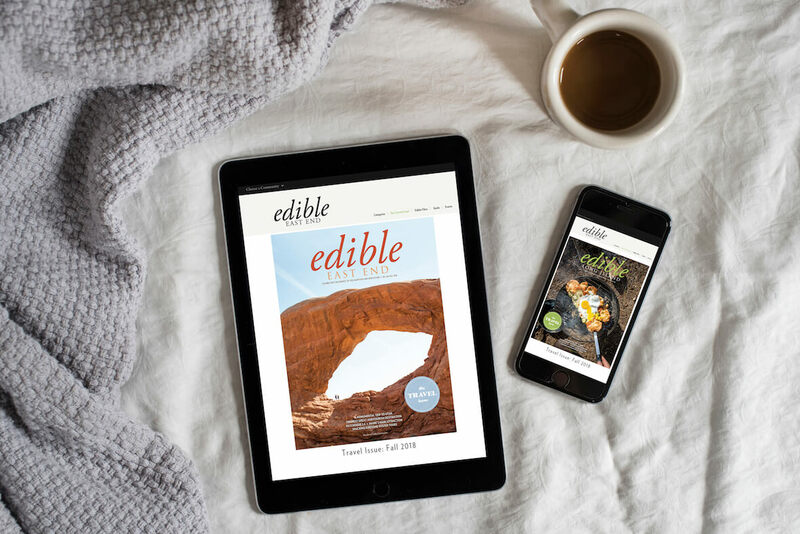 When we launched Edible East End, our storytelling straddled the past and future. We swooned over centuries-old recipes for clam pie, the ingenuity of potato barns and Shinnecock beach plum recipes. But we also championed winemakers, dairies, oyster farmers and mushroom growers, part of the avalanche of start-up food businesses not before seen on these forks. That was nine years ago, and the pace has only quickened. 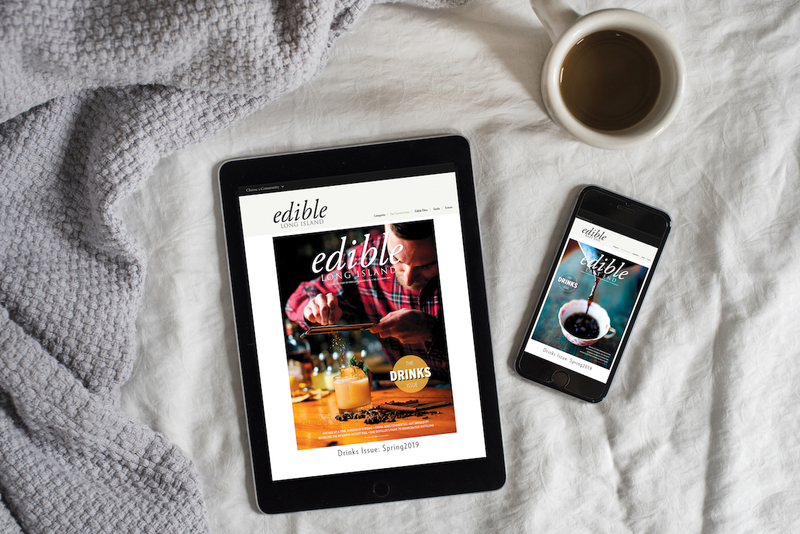 So perhaps it’s surprising it’s taken so long to bring you an innovations issue, built around the people, flavors and new ideas redefining what we eat and drink. 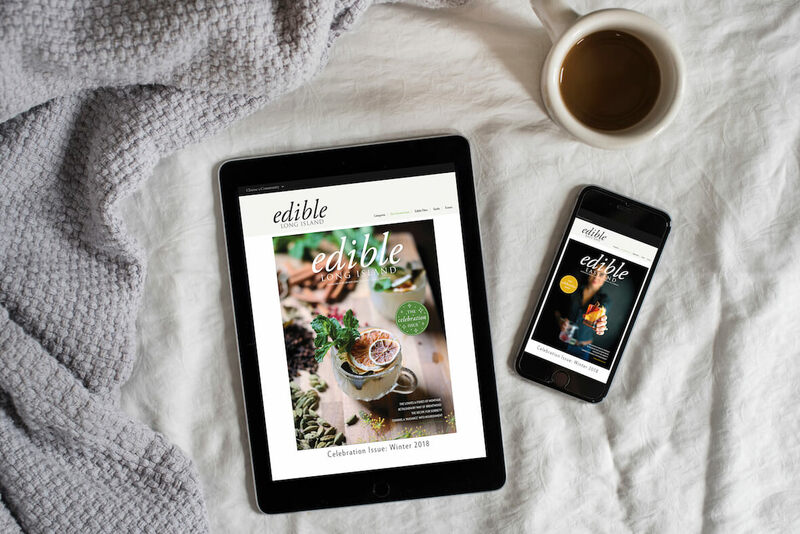 Naturally, we found tech-driven tales: A couple in Amagansett launched FeedFeed, a social media platform where users can bypass the cacophony of recipe blogs in favor of photo-driven breakfast, lunch and dinner ideas from friends. Farm 2 Kitchen LI is a web-based clearinghouse and delivery service of only local products, an East End locavore’s FreshDirect. Whether it is Naturally Good’s decision to expand its Montauk storefront or Crooked Ladder’s addition to Riverhead’s brewers row, invention doesn’t come without trial and error. Biologists behind the Shinnecock Bay restoration project have found it’s not just planting eelgrass beds, seeding algae and installing clam sanctuaries that lead to more clams, but an aggressive combination of all three. Last fall, Northport’s Eat Me, Drink Me food truck introduced, with some trepidation, pumpkin cheesecake and apple pie grilled cheese sandwiches. The whimsy of Thanksgiving desserts became two of its most popular lunch staples. Today’s tech-driven economy and exploratory appetites demand constant newness. Koppert Cress in Cutchogue scours the globe for little-known, big-flavored seeds to raise in their awe-inspiring 30,000-square-foot greenhouses that turn out a rainbow of leaves tasting of oysters, cumin or sweet corn. When Lieb Cellars started packaging wine in boxes and disposable kegs, they were inspired by savings in materials but also by the marketing opportunities: the kegs (holding 26 bottles) are perfect for parties. Sometimes the right hack is going old school. Our Laura Luciano creates a “new” classic when she updates her grandfather’s famed ricotta cheesecake recipe using raw spring milk from Chris Wines’s Jerseys at Ty Llwyd Farm in Riverhead. Farmer Marilee Foster argues of all the suggestions to counter the plague of deer overpopulation—from costly fencing to complicated contraception—the genius solution is the most traditional: hunt and eat them.